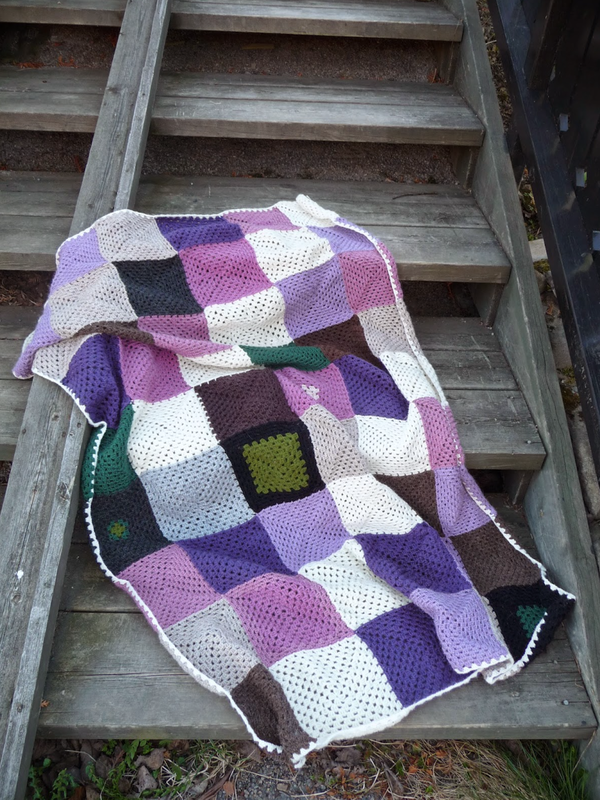 An afghan is another word for a blanket or throw. 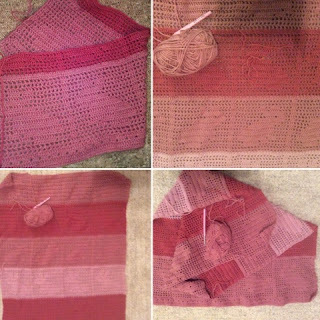 You can make one using crochet, knitting or with fabric. It can be made from the middle and outwards, back and forth or by making small shapes and then attaching them together. 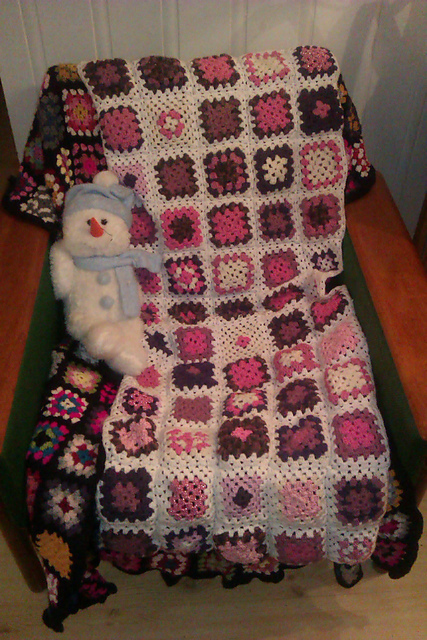 I have made many blankets, mostly I have been crocheting, but I have made a few knitted ones too. I have never tried to sew one though as I am not that good friends with my sewing machine. 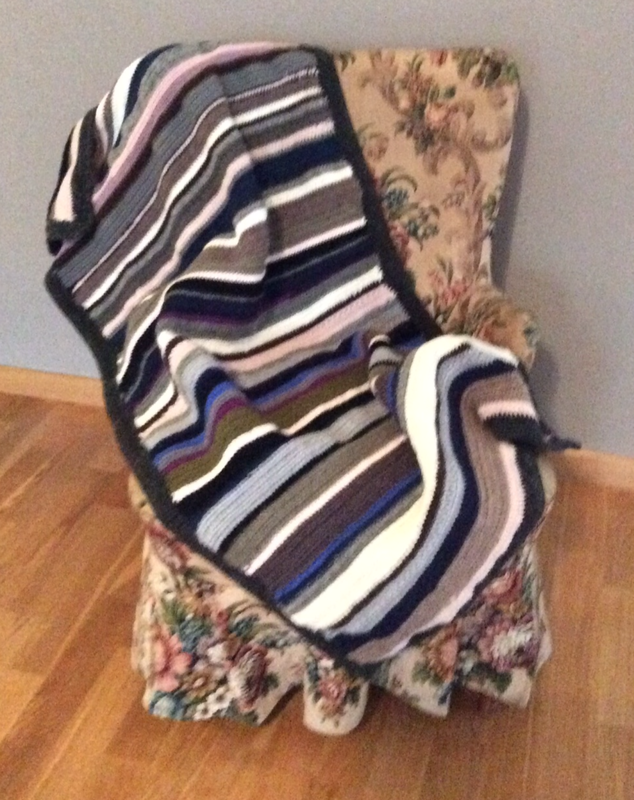 Here are some of my finished afghans. 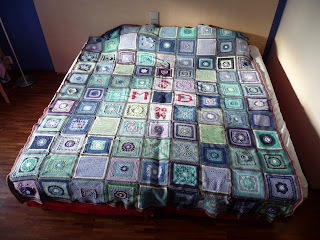 Made in squares and sewn together, some crochet parts were added made by my friends and me. Baby-blanket knitted heart squares sewn together with crochet border. Pink baby bunny blanket in filet crochet, crocheted back and forth. Granny square blankets, adult sized. Crocheted together. Different stitches crochet blanket made by me in leftover threads. 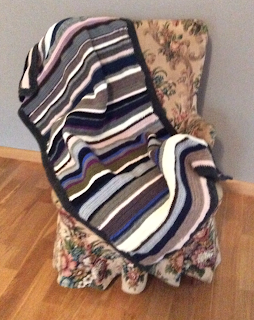 Crocheted back and forth, adult sized or a lapghan for two people. Granny square blanket adult sized with the join as you go method. The wedding blanket made out of different crochet squares crocheted together from the block a week CAL 2014 made by my friend *Kio and me. As you can see I have made many afghans in different techniques, sizes and patterns, I have four more blankets on the go at the moment and one that will be frogged but more about that later. 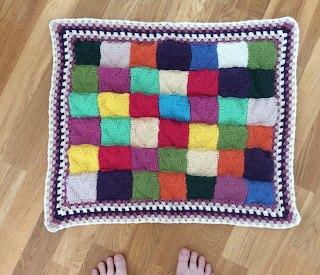 Afghans take a lot of time to make but is very fun to do and the difficulty is all in the pattern you choose and it is a good gift. 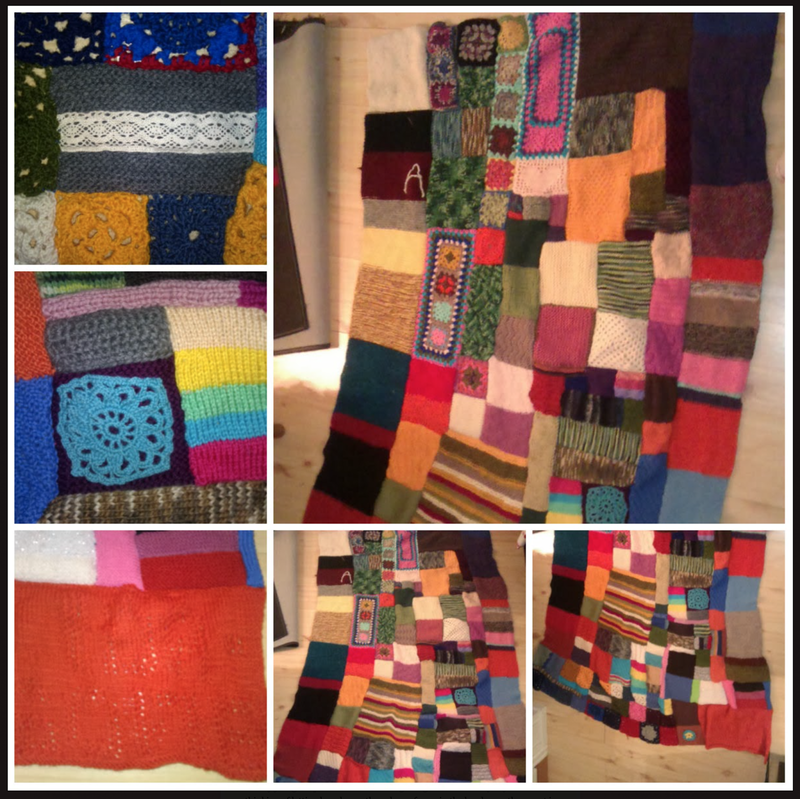 Here are a list on Ravelry of my favourite afghan patterns. Those are wonderful! Wow, you've done a lot of different kinds. Have you ever done a log cabin? I did one several years ago, and I'm thinking about starting another. I'd love to do one with scraps, but it seems overwhelming when I consider it. I am pretty sure I started my blanket project before I got Kasper... 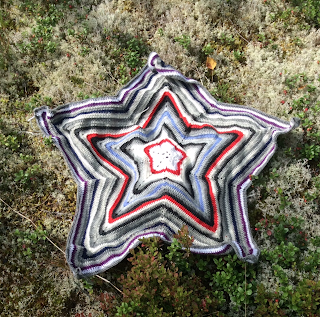 Very Wisp that one, but I will finish it one year (coz I still love the yarn I chose)! Amazing talent and beautiful creations. I am in awe. Brenna: I can't even remember your blanket project! So it must have been a while since you started. Maybe it is time to start again soon then?